Tune into Grade's of Green's podcast interview with DJ EJ on 102.7 KIISS FM, Los Angeles' #1 hit music station! 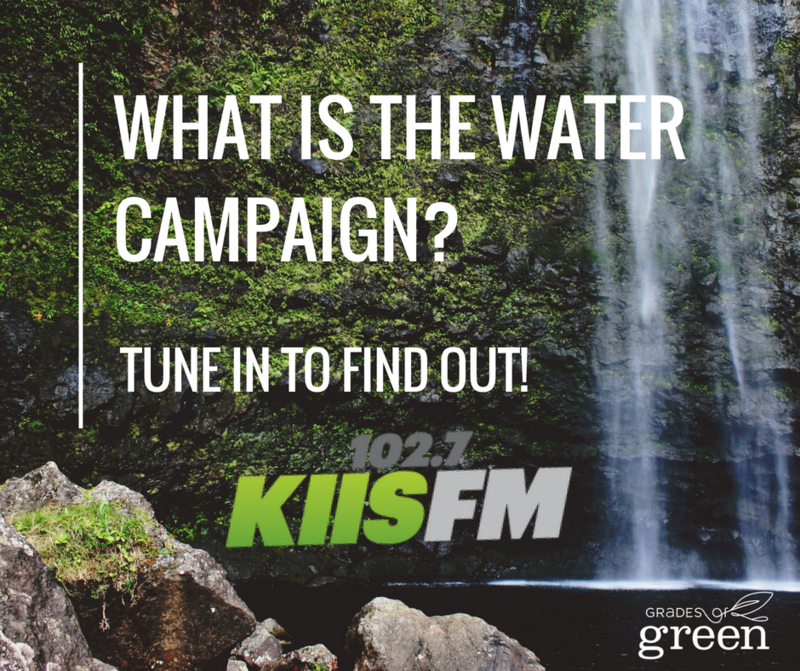 During this KIIS FM Community Council segment, Director of Global Programs Emily Gee and Program Coordinator Emily Stewart discuss why water conservation is so important, how Grades of Green eco-leaders are taking action to protect their water resources, and how YOU can save water at home through everyday actions. Emily and Emily also reveal Grades of Green's exciting new program, the fall 2018 Water Campaign! Are you a student or educator interested in leading a water campaign in your community? Click here to register for Grades of Green's four-month Water Campaign, beginning in September 2018. The Water Campaign is open to any group of students across the globe and is free to the first 300 student teams that register!